A fine example that would grade up very well. 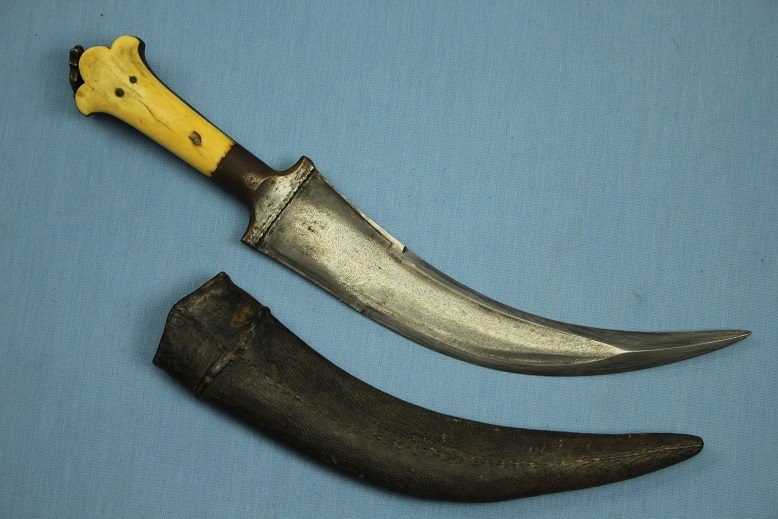 This rare North Indian dagger/khandjar remains in complete original, uncleaned and undamaged condition, to include its original leather covered sheath. 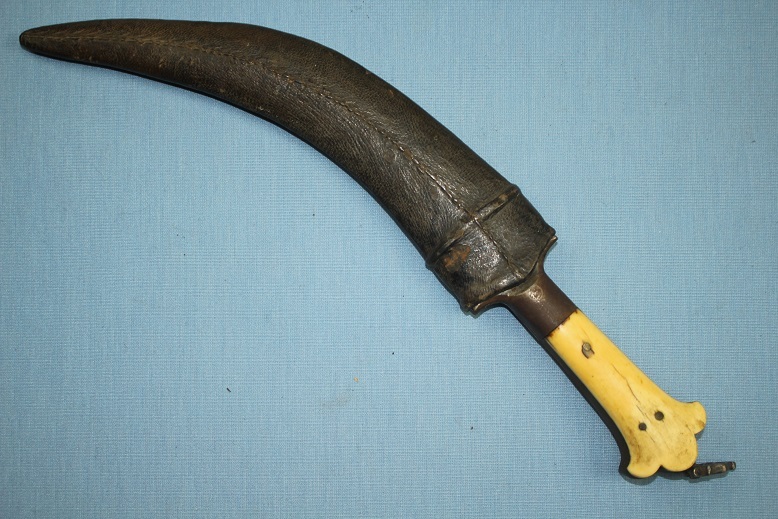 The overall length in its sheath is 31cms long excluding the silver toggle. Out of the sheath it is 30cms long, with a blade length of 20cms. 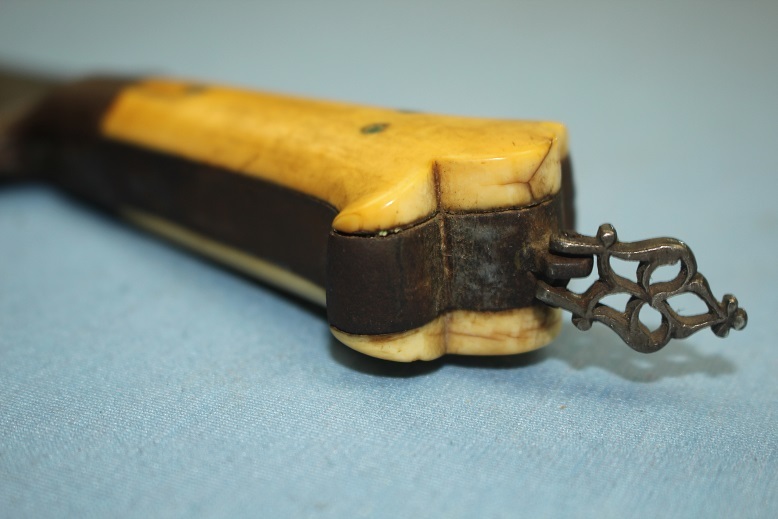 It's grip slabs are ivory, pinned in three places through a full tang which protrudes the grip stap. It is through the tang end that a fine, decorative solid silver lanyard toggle of classic Mughal form is hung. Surrounding the grip slabs are steel bolsters and grip straps. These surfaces, given the quality of the wootz blade are also likely to be of a wootz steel. 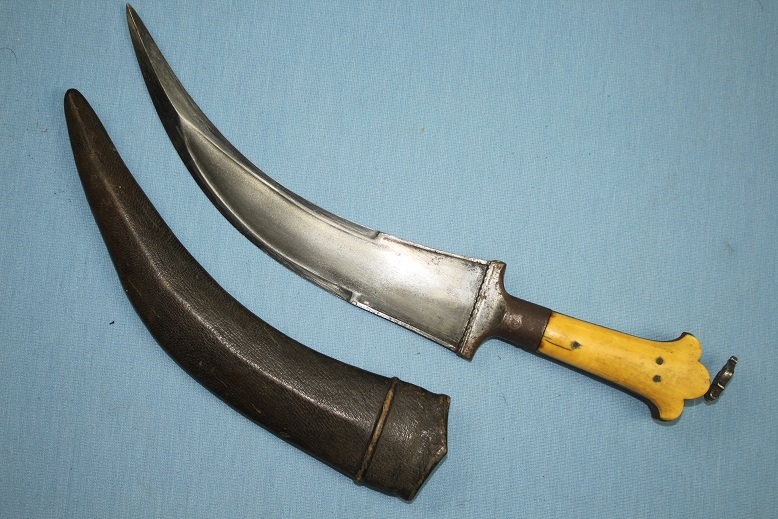 The blade form, for any Indian dagger is a most unusual form. 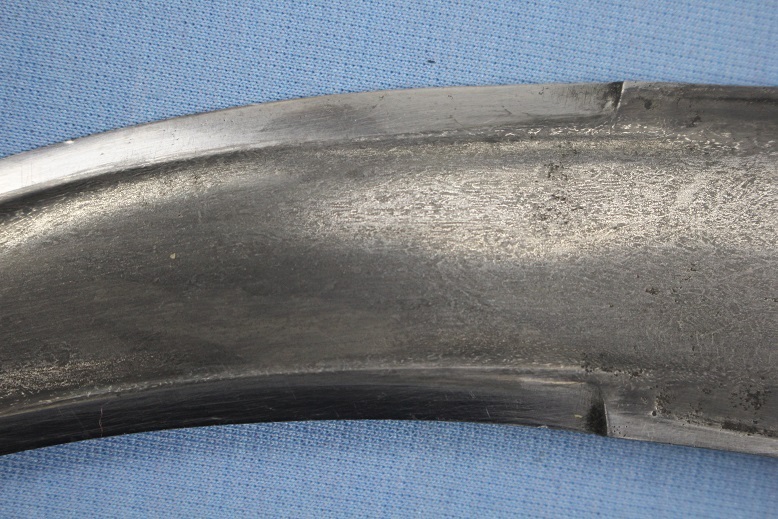 The tapering block forte edges remains false, with raised edges, whist the midsection of this forte is an elliptical cross section, seen running through between the raised and thickened cutting edges and armour piercing tip. 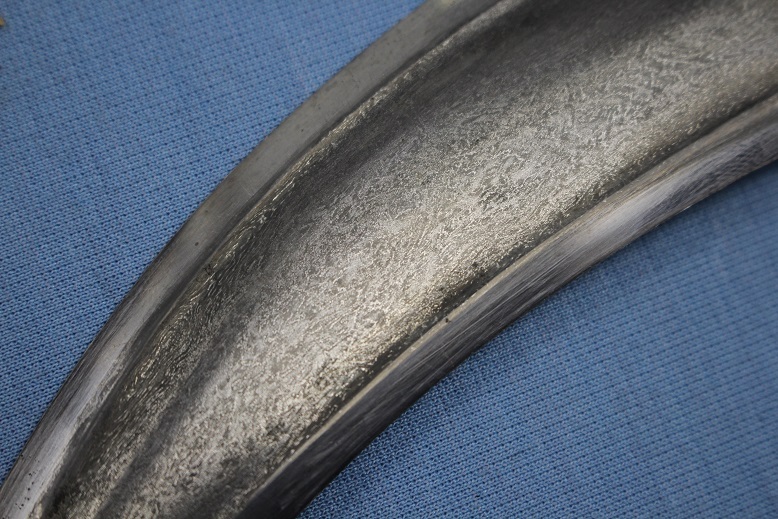 The blades edges remain in original high bright polish, whilst the faces of the blade show a fine wootz watered steel patterning. 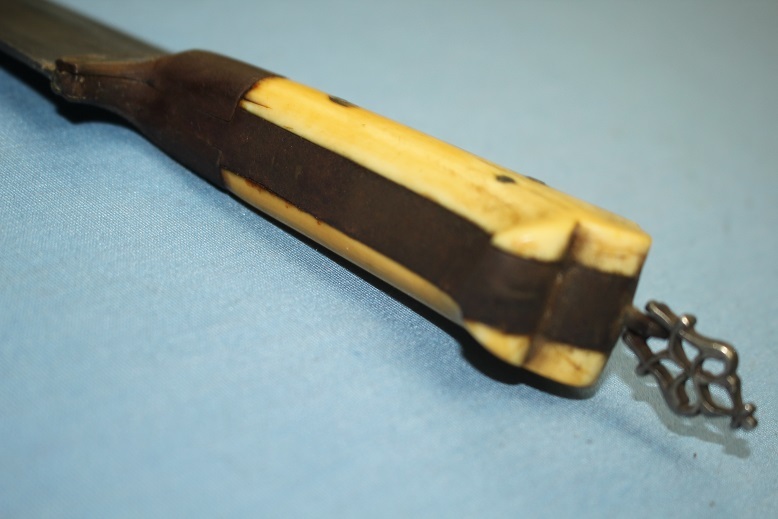 The leather and timber sheath remains in fine condition, without loss or breaks. 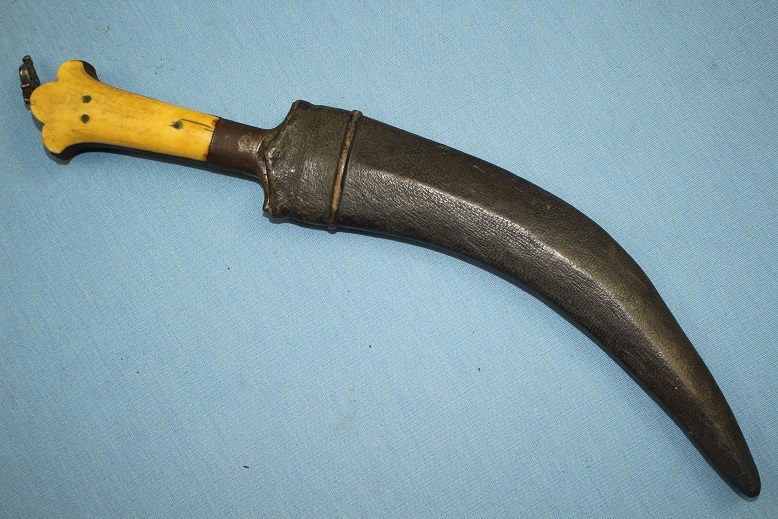 A most interesting and unusual blade form in a rare and complete Tiger Tooth jambiya.